In wet environments you need the right equipment. 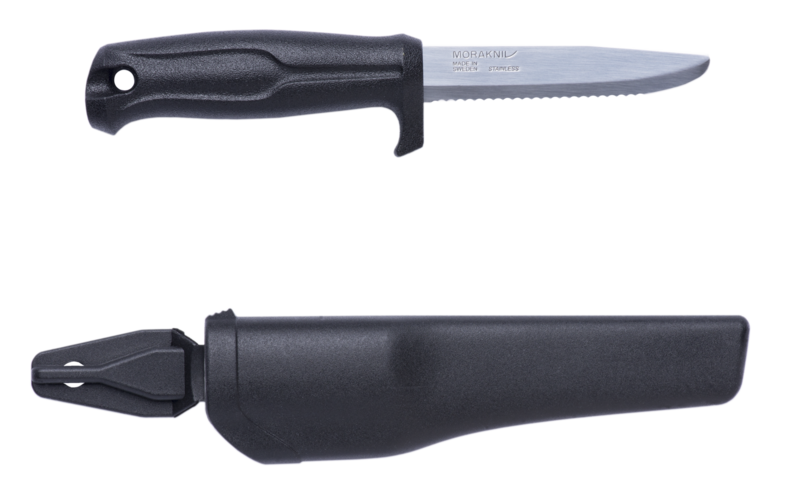 For example, the handle of Marine Rescue is contoured to give you a firm grip, and it has a solid finger guard to stop your fingers slipping forward over the blade. The stainless steel blade has teeth making it simple to slice through different kinds of material. It also has a rounded safety tip to prevent stab wounds. The robust handle of strong polymer is developed to handle tough tasks at sea or by the water.